The Jewish Foundation and the Jewish Federation of Cincinnati will launch a Jewish Community Study in 2019. Between February and May, Brandeis University researchers will survey local Jewish households. 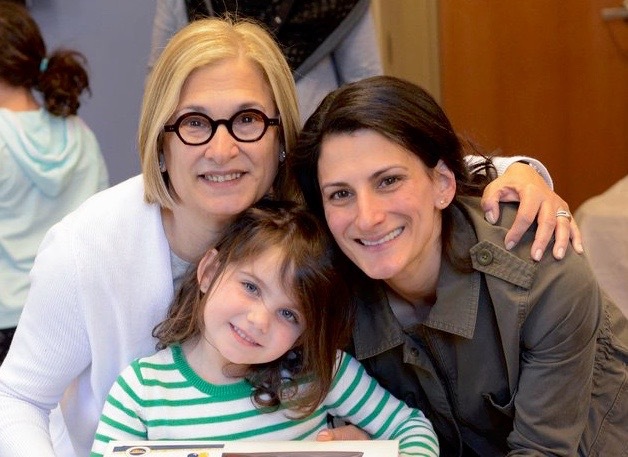 The Jewish Foundation of Cincinnati and the Jewish Federation of Cincinnati are pleased to announce the launch of the 2019 Cincinnati Jewish Community Study. The goal of this demographic study is to collect, analyze, and report accurate and actionable data to inform community planning and enhance the vibrancy of Jewish life in the Greater Cincinnati area. Following an extensive and competitive RFP process, the Foundation and Federation have engaged the Cohen Center for Modern Jewish Studies/Steinhardt Social Research Institute (CMJS/SSRI) of Brandeis University, the preeminent academic research center for the social scientific study of Jewry in the United States. “Our team of Brandeis University researchers are expert in the specific challenges of Jewish communal research. We have conducted many Jewish community studies, and we look forward to applying our cutting-edge methodologies to providing a better understanding of the Cincinnati Jewish community,” said Dr. Janet Krasner Aronson, Associate Director of CMJS and Principal Investigator for the Cincinnati community study. The study will also provide comprehensive data, to be released and widely disseminated to the public, in order to help strengthen Jewish life in Cincinnati. The Cincinnati Jewish Community Study will be conducted in 2019, between February and May, and will include surveying Jewish households in Cincinnati. The researchers will work closely with local Jewish synagogues and agencies to ensure that diverse lay and professional perspectives are represented. In addition, a Community Study Advisory Committee will help ensure our community’s most important questions are being addressed in the conducting of the survey and reporting of the results. The committee includes Marcie Bachrach, Rabbi Laura Baum, Shep Englander, Marc Fisher, Gary Greenberg, Brian Jaffee, Elida Kamine, Rabbi Lewis Kamrass, Ernesto Levy, Barb Miller, Dena Morton, Leslie Newman, Kim Newstadt, and Mark Sass.